A Naturalist’s Guide to the Wild Flowers of Britain & Northern Europe is a photographic identification guide to the commoner wild flowers of Britain and Northern Europe, featuring 280 species that the amateur naturalist might expect to see in the field or garden. The user-friendly introduction covers habitats,flower structure, identification, wild flower names, a glossary of botanical and habitat terms, and conservation, in a way that doesn’t assume prior knowledge of the subject. Includes a list of useful addresses and contacts. 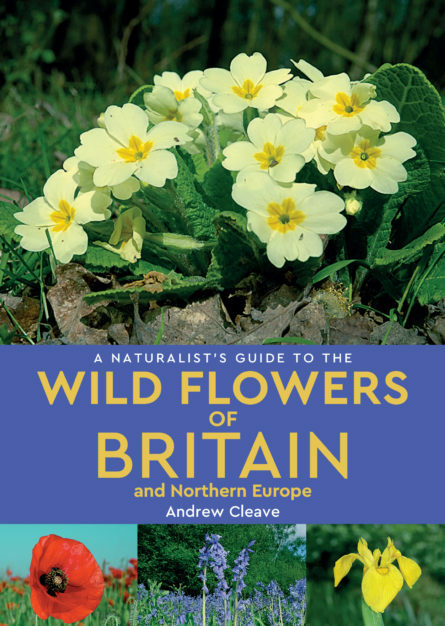 Andrew Cleave MBE has written more than 30 books about natural history subjects, including field guides to trees and wild flowers. He began his career as a biology teacher before concentrating on writing, photography, lecturing and tour leading – he has led natural history tours to the Mediterranean, Spitsbergen, and many regions of Europe. Andrew was appointed MBE for services to Environmental Education in 1995. Specifications 180 x 128mm / 7” x 5” Extent 160 pages 40,000 words approx. c300 colour photographs.